The hustle, bustle, and charm of the Holiday Season is over, yet we are still deeply entrenched in the cold winter. Sign up for a crochet or knitting class to help you start and finish a project that will make the time spent indoors extra enjoyable. If you have even the slightest desire to take one of our classes, you should sign up quickly! Need to learn the basics of crochet or knitting? Then choose a one session, very reasonably priced, beginning class. Our knowledgeable instructors will get you started on a skill that will continue to pay you back rewards for the rest of your life! Sat. January 25, 3-5 p.m. Sat. March 1, 3-5 p.m. Sat. February 1, 10 a.m.-12 p.m. Sat. March 1, 10 a.m.-12 p.m. Sat. March 29, 10 a.m.-12 p.m. If you have the basics of knitting under you belt and would love to use up all the bits and pieces left-over in your yarn stash AND learn to make the most adorable knitted toys, then sign up for our Simple Knitted Toys class! The little bunny, chick, and lamb knit up fast and are perfect for the Easter Springtime season. 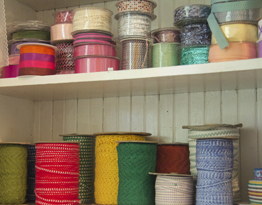 Everyone who comes into the store can’t help but pick them up and “Ooh” and “Aah” over them! Children and grandchildren alike will be delighted with these little toys. Friday, February 7, 4-5:30 p.m.
Have you already taken the Beginning Crochet class or know the crochet basics, but want a refresher course? Do you struggle to read crochet patterns or diagrams? Would you like to learn how to change colors in your projects? Do you want some tips and tricks for joining crochet motifs together as you go along, so that the seaming up at the end of the project is not such a chore? Are you as in-love with Granny Squares as we are?? This class will cover all these things and more as you learn the ins and out of the ever popular Granny Square! Even if you’re not interested in the Granny Square, what you’ll learn in this one session class will give you the confidence to tackle other crochet projects. Sat. February 22, 3-5 p.m.
Would you like to move your knitting to the next level? Ready to learn how to knit something other than a scarf? Then come learn how to knit your own sweater! Choose to knit a child or adult sized cardigan with easy top down construction. You’ll be so pleased to learn the skills needed to finish this project after only two sessions of instruction! Friday, March 14 & 21, 4-5:30 p.m. Check out all of our available winter classes right here. Payment required to secure class; phone orders accepted. Full refund available up to one week prior to class. 20% off fabric and yarn with paid class tuition. Tags: Classes, crochet, granny squares, knitting | Permalink. Have you seen the new Winter Class List? We have some exciting new editions to our class lineup and the return of some favorites! One of our most popular teachers returning is Nancy Ostergar, who has been teaching classes in Calligraphy, Bookmaking, Water Color, and Printmaking. This winter she is teaching three classes that we are so excited about! Beginning Calligraphy – Foundational Alphabet (Roman Lowercase) begins this Wednesday January 15 and the 3-session class will lay the foundation for your education in traditional calligraphy techniques. Additional Calligraphy instruction in Uncial, Gothic, and Italic will follow in separate 3-class sessions. Nancy is also leading a class where you can come and make Four Fun Handmade Valentines! All materials are provided for this class – wouldn’t this be so great to just show up with a group of your sisters or friends on Saturday February 1 and leave with unique handmade Valentines?? Her third class aims to improve your everyday handwriting by starting at the basics. Improve Your Handwriting: Cursive is Not Dead! is a two session class beginning on Saturday April 12. To help you get to know Nancy a little bit better, we asked her a few questions. Enjoy! You’ve been offering a very popular Calligraphy class at the shop, but you also paint and draw! What has the artist’s path looked like for you and when did you start a serious study of penmanship? What is it about calligraphy that interests and inspires you? It took me 17 years and 9 children before I graduated from BYU in English Lit. I had always dreamt of majoring in art but it didn’t happen, for various reasons. I took art classes whenever I could but felt a great affinity to letters, especially after my first calligraphy class in 1983 – the year I graduated from BYU! I just kept taking classes where ever I could and I joined the Utah Calligraphic Artist group. They bring in professional teachers once or twice a year. This year we will have a workshop with Yves Leterme, a wonderful calligrapher who will be coming from Belgium. Letters, for me, are a vehicle for thought and emotion. Beautiful letters can help create beautiful thoughts. In 1965 when I got married, I started my art studio in a shoe box. Now, I take up a whole room in the basement, which is fondly called the dungeon! Inside page of wedding book. Everyone who comes into the shop loves the fabric covered Book of Mormons that you offer for sale. When did you begin learning the art of bookmaking? What better way to showcase your lettering than through handmade books! This was a natural progression for me. I took classes in bookbinding including an in-depth class in the Conservation Lab at the Lee Library at BYU. My first actual book was an alphabet book for my oldest grandson’s first birthday. The book was about family and I illustrated it with stickers! I have created many journals and wedding guest books. What artists and artwork inspire and excite you? I am inspired by color and shape. I love the work of Paul Klee. There are many calligrapher’s that I look to for instruction and example, including those in my guild, but Sheila Waters, Reggie Ezell and Carl Rohrs are several of the professionals that have helped me grow and stretch. The work of Donald Jackson, who headed the team to do the Bible all by hand with gold leaf and incredible illustrations, is amazing. BYU just purchased a full-scale replica of this 7-volume work! The scriptures are a great source to me for beautiful thoughts. Tags: calligraphy, Classes, handmade valentines, handwriting | Permalink. Winter Classes are here–call now to reserve your place! Beginning Calligraphy—This class is for beginners who want to learn traditional calligraphic alphabets. Four classes in the series build on each other. Each class has three sessions offered Wednesdays 6:30-8:30 p.m. Fee includes project papers, envelopes, patterns, and handouts. Students will be contacted by email regarding other materials; kits will be available for purchase if desired. Intermediate Beginning Crochet: Granny Squares!—Learn to crochet a timeless classic. Class will cover methods of circular crochet motifs, changing colors, weaving in ends as you go, and joining techniques. Basic crochet skills required. Bring several different colors of DK or worsted weight yarn, size F/5 3.75 mm crochet hook (DK) or size H/8 5.0 mm hook (worsted weight), scissors, and a tapestry needle. Sat. January 18, 3-5 p.m.
Embroidered Valentine Needle Book/Travel Sewing Kit—Learn basic embroidery stitches and techniques while making a beautiful and practical wool felt needle book. Two designs to choose from: a colorful heart, perhaps for a special Valentine, or a knotty little lamb. Kit is included in class fee which has wool felt for cover and two interior pages, embroidery floss, two needles as well as pattern, stitch guides and links. Additional embellishments—handmade buttons, small magnets, silk ribbon—available to purchase. Tues. January 21 & 28, 12-2 p.m.
Tues. February 4 & 11, 12-2 p.m.
Beginning Crochet—Learn the basics of crochet while making a lovely flower pin. Basic stitches such as chain, slip stitch, single crochet, half-double crochet and double crochet will be taught. Bring one skein worsted weight yarn in desired flower color, & 1 size H/8 5.0mm crochet hook. Each participant will receive a muslin drawstring bag and course folder with illustrated instructions. Green yarn will be provided for the leaves, if desired. Knitting 101—Come learn to cast on, knit, purl, and bind off; all the basics needed to really start your foray into knitting in this one-session workshop! Bring worsted to aran weight yarn and US size 8-10 needles to make some fingerless mitts. Supplies available at Harmony for 20% off with class registration. Knit/Crochet Lab: Unfinished Objects!—Sometimes your project can give you fits! Don’t throw it at the dog, bring it to the lab and let Kirstin help walk you through your trouble spots. By appointment, February 1, March 1 & 29, between 12-2 p.m.
Four Fun Valentines—We will put together four hand-made Valentines. You can decide to make them fun or romantic! Class fee includes all papers and materials. Sat. February 1, 2-4 p.m. Simple Knitted Toys—Come learn how to knit an adorable tiny toy bunny, chick, and lamb. These knit up fast and make great Easter gifts! 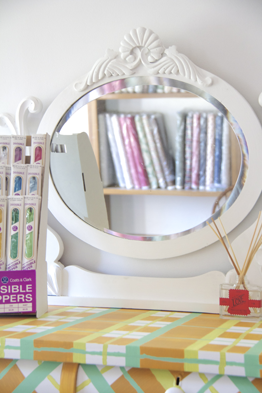 Perfect for beginning knitters, and great stash-busters. Bring size 5 double pointed needles, scraps of yarn in desired colors, small amount of stuffing, and large yarn needle or purchase optional kit for $15 from instructor day of class. Yarn 20% off @ Harmony! Cooking with Jane: “The Steaming Pot”—Cold nights demand comforting, nourishing food like soup, chili, and casseroles. Come explore Moroccan tagines and Asian hot pots with us. Sat., February 15, 10-11 a.m.
Scrappy Trip-Around-the-World Quilt—In this class we will be making blocks to assemble a Scrappy Trip Around the World quilt from Bonnie Hunter’s tutorial. Students will learn how to pick fabrics for the blocks, assemble them, make a quilt sandwich, quilt it on your machine, and attach the binding by machine. Teacher will provide a small quilt sandwich sample to practice machine quilting and binding. Sewing experience required. Sat. March 8, 15, & 22, 2-4 p.m.
Knit Your First Sweater—Choose from an adorable baby cardigan or a classic ladies’ cardigan with top down construction and learn all you need to know to finish your project. Supplies: Purchase one of these two patterns (ravelry.com’s “Ramona Cardigan” or “*One Baby Sweater*”) with yarn and needles to suit (20% off yarn and needles @ Harmony). Cooking with Jane: “The Garden Bed”—Picture rhubarb thrusting its red, delicate fist through the spring earth and baby strawberries taking on color in the spring air. We will help change the season’s palate with the new gifts from the garden. Sat. April 12, 10-11 a.m. Improve Your Handwriting: Cursive is Not Dead!—We will learn to print again first and then to join our printing to make a lovely and readable handwriting. Bring a pencil and notebook; instructor will provide handouts. Sat. April 12 & 19, 2-4 p.m.
Kids’ Sewing—Kids learn to sew basic seams and interesting projects like a skirt, purse, and dress. Sewing machines provided. 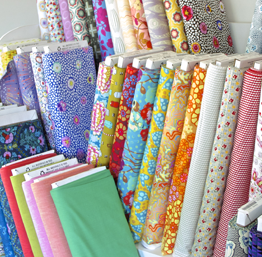 Fabric is 20% off @ Harmony! 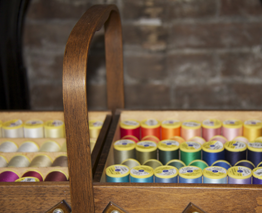 Beginning Sewing—Learn to sew or brush up on your skills with our professional teacher. Sewing machines provided at the shop. Saturdays, 12-1 p.m.
v Payment required to secure class; phone orders accepted. v Full refund available up to one week prior to class. 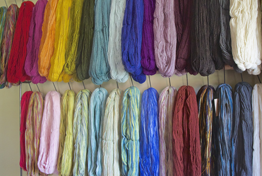 v 20% off fabric and yarn with paid class tuition. We will closed for Memorial Day Monday May 28th! Have a wonderful holiday.